Good morning everyone! It is a beautiful day, and as my friend says, “Every day is beautiful.” That is true, but some days are more beautiful. “This is the day that the Lord has made; let us rejoice and be glad in it” (Psalms 118:24). 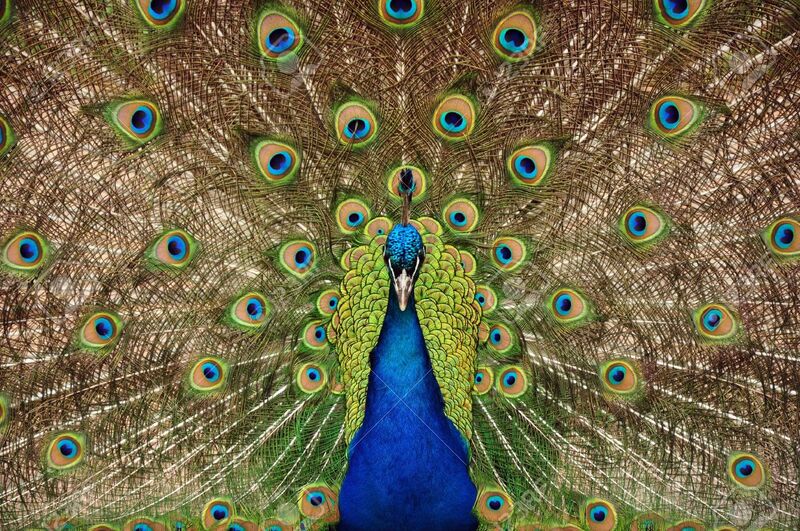 Today our lesson is titled, The Proud Peacock.” I think the Peacock is the perfect symbol to describe people who are puffed up with an overwhelming estimate of themselves and of their pride. We use the terms, proud Marine, proud parent, proud graduate, proud teacher, and on and on and on. There is nothing wrong with having a certain amount of pride or what I would call self-respect. But when we are talking about the kind of pride that the Bible describes and which God opposes, then we’re talking about the kind of pride in which a person says I have done all of this myself. No one else helped me and I did not depend on anybody! I did this all by myself, as if there are no other factors in what you are or what you have been able to accomplish. That cannot be true. Every person and everything we accomplish is because somebody else has helped us. Whatever we do, we build on what everyone has done who lived before us. So when you and I are tempted to boast and arrogantly claim that we are proud of what we are or what we have done, just remember that somebody else also had a part in it—your parents, your fellow countrymen, your work associates, your family, and Almighty God. Nobody can accomplish anything completely by themselves and be proud in that sense. What does God do? He resists the proud and gives grace to the humble. I have often observed that people who are so proud, when it comes to a showdown they are really cowards! Also I have observed that people who are most humble, when strength and valor are really needed; they come through boldly with the strength of a lion and will do what really needs to be done. The brevity of life is like a vapor that appears for a little while and then vanishes away (James 4:14). So why should man be puffed up with pride? Many writers down through the ages have said that pride is the worst sin; because it pushes God away and makes proud man a god unto himself. Sinful pride can cause mankind to be proud of himself, proud of his race (there is just one human race), proud of his people, proud of his possessions, and proud of his accomplishments, to the point that he pushes Almighty God completely out of his life. In our lesson we shall present several headings on pride, but I also want to give a biblical picture of sinful pride as presented by our Lord Jesus Christ to the people of his day. 1. Self-justification goes along with pride. When we mess up, when we do wrong, and when we sin, we like to sweep it away and cover it up, and justify ourselves. The wise man Solomon said, “All the ways of a man are pure in his own eyes, but the Lord weighs the spirits” (Proverbs 16:2). All of our ways are okay with us, because we want to justify ourselves. But let me give you a biblical picture of how that can be done. Do you remember the story that is found in Luke the 18:9-14? It is the story about the Publican and the Pharisee. The Publican was the tax collector and people then did not like tax collectors any more than they do today. The Pharisee was the self-righteous religious person that felt like he was perfect and looked down his nose at everybody else. Jesus could see that spirit and so he gave us a story about two men that went up to the temple to pray. And one stood and prayed with himself: “God, I thank you that I am not like other men, extortioners, unjust, adulterers, or even as this publican. I fast twice in the week, I give tithes of all that I possess.” Look at me Lord, I am a perfect person! And then Jesus said that the publican—tax collector, stood afar off, he would not even draw close to the center of worship. He smote upon his breast and said, “God be merciful to me a sinner.” The beautiful thing about this story is the declaration by Jesus that the humble publican went to his home justified rather than the proud Pharisee. What is the lesson to learn from this story? We should be religious and we should do what God tells us and we should do the right thing, but just remember that no one is perfect. Even the best of people mess up and make mistakes and fall short of the glory of God. And since that is the case we should not get that proud look like the Pharisee and look down our nose at other people who are struggling to overcome sin in their lives. Be merciful to other people because every one of us is going to need the mercy and grace of God. It is a sin to justify ourselves instead of letting God justify us by the precious blood of Christ. God is the one who justifies us and not we ourselves. Let us notice another sin associated with pride. 2. Self-satisfaction and self-glory go along with pride. We like to be satisfied with ourselves. We like to glorify ourselves. The Bible declares, “For not he who commends himself is approved, but whom the Lord commends” (Corinthians 10:18). We can commend ourselves all day long, but it doesn’t mean very much. What is more important, does God commend us, does God commend our way of life, and does God commend our thoughts and actions? That is the question! And we are all different from one another. There are no two of us that are exactly alike. We are all different in a lot of ways, but we are also the same in a lot of ways. And we love to point out our differences among us. And we especially love to point out the faults of different people. And we like to point out our good points. “Look how good I am and how bad that person is.” Paul declared to the church at Corinth, “For who makes you differ from another? And what do you have that you did not receive? Now if you did indeed receive it, why do you boast as if you had not received it” (1 Corinthians 4:7)? Therefore let us think about these questions before we boast about ourselves in a proud and arrogant way. Whatever you have, you received it from somebody else. And ultimately everything comes from God. And we did not accomplish it all by ourselves. 3. The sin of rivalry really goes along with pride. We love rivalry—we love to see the Colts win a game, or the Pacers, or IU, or Purdue etc. And when it comes to war, we want to win. There is much competition in our world. The spirit of rivalry goes along with sinful pride. Pride is competitive. We notice the pride of the older brother in the parable of the prodigal son (Luke 15). He was the good boy who stayed home with his dad. He was faithful to work on the farm. His brother was the prodigal. He wanted his inheritance ahead of time. He could not wait for his dad to die. Give me my inheritance now for I am tired of staying around this place. The Bible says that he went off into a far country and wasted his substance on riotous living. When he had spent everything he had to go out and live with the pigs. Finally, when he came to himself he said, “Even the hired servants in my father’s house have plenty to eat. This is what I am going to do. I am going back home and confess my sins and ask my father to make me as one of the hired servants.” He did the right thing. But there was another prodigal in the family and that was the older son. He was the self-righteous son who was full of pride. When he heard the singing and dancing that was going on, he inquired as to the occasion. He was informed that they were celebrating his brother who had been lost and is now found and has come home. But the older brother will not celebrate with the family. He was too full of pride and arrogance. He had a bad attitude and would not support his brother who needed a lot of love and acceptance. Obviously there was a lot of rivalry between these two sons. This spirit also presented itself in the biblical church. We read in the apostle John’s third missive, “I wrote to the church, but Diotrephes who loves to have the preeminence among them, does not receive us” (3 John 9). He wanted to be a rival of the apostle John who was inspired of God. His sinful pride was his downfall. 4. Contention also goes along with pride. Solomon, the Sage of Israel declared, “By pride comes nothing but strife, but with the well advised is wisdom” (Proverbs 13:10). We must be very careful about nurturing overwhelming ego and pride. We have an example in the Bible of contention among the disciples growing out of sinful pride (Matthew 20:20-28). On one occasion Jesus was with his apostles, when James and John along with their mother came to Jesus and made a request. The brothers through their mother asked Jesus to place James and John on the right-hand and the left-hand in the kingdom. Jesus replied that only his Father had that power. When the other 10 apostles heard about this they were very upset and this led to contention among them. At this point Jesus gave his answer to their contentious pride. He said the way to be great is to become a servant: “Yet it shall not be so among you; but whoever desires to become great among you, let him be your servant. And whoever desires to be first among you, let him be your slave—just as the Son of Man did not come to be served, but to serve, and to give His life a ransom for many” (Matthew 20:26-28). “The Lord will destroy the house of the proud” (Proverbs 15:25). “A man’s pride shall bring him low” (Proverbs 29:23). “Whosoever exalts himself shall be abased” (Matthew 23:12). Recently, in our Bible class we studied about the prophet Daniel—one of the greatest Old Testament books one could ever study. And we found out that Nebuchadnezzar, who was the King of Babylon boasted about his great power and wealth in his kingdom. Daniel described Nebuchadnezzar in the great statue as “the head of gold!” As a result, Nebuchadnezzar was lifted up with great pride and arrogance. Now Jesus gave us a biblical picture of what will happen to anyone who is lifted up with arrogance and pride over their wealth and possessions. It is the story that Jesus told a man who was contending with his brother over the family inheritance. Jesus warned the man that life consists of more than possessions and power: “Take heed and beware of covetousness, for one’s life does not consist in the abundance of the things he possesses” (Luke 12:15). It is at this point that Jesus relates to him the parable of the rich farmer. Jesus declared that the ground of a certain rich man brought forth plentifully. “He said unto himself what shall I do? This will I do. I will pull down my barns and I will build bigger barns. Then I will bestow all of my goods and I will say unto my soul, soul you have many goods laid up for many years: take your ease, eat, drink, and be merry.” But Jesus said he was a fool and that this very night his soul would be required and he would leave all of his goods to someone else! Therefore, sinful, arrogant pride is destructive of nations and individuals. It is sinful to brag about our possessions and how much money we have stored up. It can all be taken away in a moment of time including life itself. We can be taken away from our possessions or our possessions can be taken away from us! (1) We are to work, we are to serve, and we are to plan, but remember God has promised that he will take care of us. All of our plans are tentative because God is in control. The destructive power of pride is great. It can destroy a city or village. I have always loved Indiana and the capital city of Indianapolis. One of the reasons is the fact that it is the only state that has the word “Indian” in the name of the state and capital city. From the time that I was a little boy I have always loved to read about the American Indians and recently I have read several books about different tribes. I am reading a book(2) now about how awful the Osage Indians were treated in Oklahoma. They were moved to Oklahoma to the poorest land available. But later they became millionaires because under their land was the rich prize of oil. It was then that wicked people moved in and even murdered the Indians to take over their mineral rights in perpetuity. What is the lesson for us? 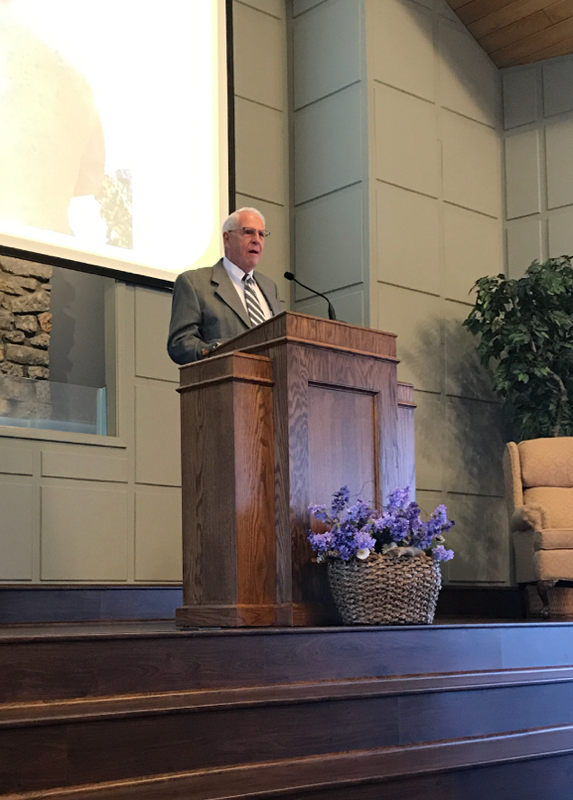 When we attend services like today and hear the word of God proclaimed week in and week out, and yet we never respond and change our lives—woe unto that person, for it will be more tolerable for the people of Sodom and Gomorrah at the day of judgment, than for people who reject the word of God. 24 But the word of God grew and multiplied (Acts 12:20-24 NKJV). This is another good example of what can happen when a person gets lifted up with pride. HOW DOES GOD REGARD PRIDE? Therefore God hates pride and it is the number one on his list. 2. God Resists the Proud. How does God regard pride? James declares in his book, “But He gives more grace. Therefore he says: God resists the proud, but gives grace to the humble” (James 4:6). We must rid pride from our life lest we run into God’s resistance. Let us humble ourselves in the sight of God so he can lift us up with loving grace. 3. God Will Punish Pride: “Everyone proud in heart is an abomination to the Lord; Though they join forces, none will go unpunished” (Proverbs 16:5). Let us look at the other side of the coin which is humility. This is expressed in the last two verses of our text: “Therefore humble yourselves under the mighty hand of God, that He may exalt you in due time, casting all your care upon Him, for He cares for you” (1 Peter 5:6-7). Peter is drawing his conclusion from what he has previously said about pride. We are not ready for God to exalt us until we rid ourselves of all pride. God wants to exalt us because he loves us, and he takes care of us, and in his own time schedule he will exalt us as one of his children. When we humble ourselves then we will not act like a proud Peacock, but like a humble lamb that follows our chief Shepherd Jesus Christ. He is the Lamb of God that takes away the sin of the world. Jesus humbled himself even unto death and therefore his heavenly Father exalted him to his own right hand with principalities and powers being subject to him. *Shelby G. Floyd delivered this sermon July 30, 2017, at the Heartland Church of Christ, 1693 West Main Street, Greenwood, Indiana 46142. Copyright © 2017 Shelby G. Floyd, All Rights Reserve. (2) Killers of the Flower Moon: by David Grann.